You’re done using a product, so you head to the bin to properly dispose of the packaging. Suddenly, a question popped into your mind, “where should I put this?” as you gaze at the different bins labelled with different kinds of waste materials. You’ve decided to put it into one of the bins and moved on. But are you sure that you made the right decision? Maybe you asked yourself, “is it recyclable?” immediately followed by “let the waste management company do its job”. Recycling rules vary from state to state, but by doing a bit of research before you recycle your products can make a big difference to your recycling habit. In addition to that, you can help make recycling an easier process. Here are some of the common mistakes that we make during recycling. It’s important that we know about them so that we can avoid them in the future. 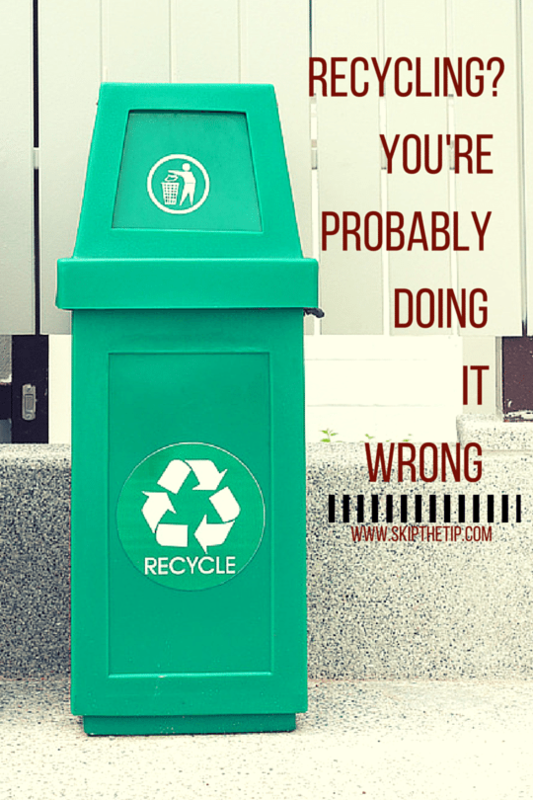 Putting something in the bin even if you don’t know if it can be recycled or not. Pizza Boxes – uh, oh! This is made of cardboard, right? Therefore, I can recycle it as much as I want. But just like what the title of this post tells you, you’re (probably) doing it wrong! Pizza boxes are often tainted with grease and leftover food which can muck up the recycling process. Wet paper – when soaked, paper fabrics becomes shorter, making them less valuable when recycled and most of the time, they won’t even collect and mill them. Juice boxes – yes, they are made from cardboard, but most juice boxes actually have a very thin layer of plastic coating which renders them unsuitable for recycling. Styrofoam – this one is made from petroleum product and is highly flammable. And believe it or not, it’s mostly considered a dangerous material recycling centres. Know what exactly you can recycle and what cannot. If you have something you’ve used and you don’t know whether it can be recycled or not, a quick online search can help you find the answer. Some of the most common recyclable materials are aluminium, paper, cardboard, steel cans and glass containers. Don’t put your recyclables in plastic bags. Though plastic bags are recyclable, putting other recyclable items in it can still cause a lot of problems, especially when they reach the recycling facility. If you aren’t sure whether a certain item is recyclable or not, especially during a clean-up project, hiring skip bins is your best bet. Skip bin providers effectively take your trash and makes sure that they go to their proper places in order to keep our environment clean.